← Things I Hate! Really! I’m Not Making This Up! Are you angry with anyone? Holding a grudge? Wow! That’s so human of you. One thing I can say for sure, It’s definitely not divine. That’s the great thing about God. He’s not in the grudge business. He gives second chances. As a matter of fact, He gives third and fourth chances, too! One of my favorite Bible stories is Jonah. If you don’t know it and don’t have a Bible handy for a quick read, let me share the short version. -God called Jonah to preach repentance to Nineveh, a wicked city. -Jonah didn’t want to go, and ran away (by ship). 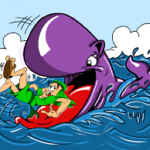 -Jonah got thrown overboard and swallowed by a big fish. -The fish spit him out. -They repented of their sin. 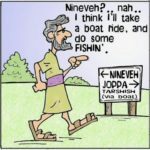 -Jonah got mad that God didn’t destroy Nineveh. -He sat outside the city, and waited for God to change His mind and do the “right” thing (which meant bringing destruction on the city). Let’s stop right there for a second, because these few lines contain our BIG lesson! Also, God gave Nineveh a second chance. He sent Jonah to preach repentance and the people listened. You know what? God even gave Jonah a third chance. When the silly prophet sat outside the city, waiting for destruction to come, God caused a vine to grow over him, to offer him shade. Jonah liked this. Then God sent a bug to eat the vine, and Jonah was left in the sun, angry. Here’s what the Bible says happened next. 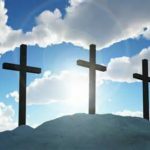 The Christian’s God does not change. He still offers second chances. Your sin (wrong doing) causes a rift between you and Him. God is always calling you back. He is always willing to forgive. So, how about it? Is there some sin separating you from God? He is a God of second chances, a God of forgiveness! Turn to Him. Yes, God has given me my share of second and third and fourth chances. Hopefully, I’ve learned to listen for his voice BEFORE I act. Most of the time. Thanks for sharing, Jeremiah. We can be our own worst enemy and yet he is always faithful to lead us, hold us, and love us. And He is always willing to give us second chances!